It’s almost that time of year again, when school’s out and the holidays are just around the corner. We’ve rounded up all the best summer camps on offer in the 852 that are suitable for every age, interest and ability. Keep your children entertained and learning this summer with our selection of engaging and immersive camps on offer! SuperCamp is all about building lifetime learning skills in a fun and engaging environment of non-stop high-energy activities, academic enrichment classes, exciting outdoor challenges and personal growth exercises. The experienced educators support students, making schoolwork easier throughout the rest of the year (and helping improve overall grades – woohoo!). The academic skills include reading faster with better comprehension, creative writing, creative and critical thinking, note-taking techniques, memorisation skills, and test-taking techniques. Independent studies of SuperCamp graduates show 68% improve motivation, 73% improve grades, 84% increase self-esteem and 98% continue to use the academic and personal growth skills years after graduating. That’s a success in our books! How much: $21,000 for 10-12 years old and $26,000 for 13-17 years old. OWN Academy offers an alternative education solution with a focus on life skills, connected learning and career life planning of students. With a variety of learning experiences, it helps kids grow in a way that resonates with their own learning style and interests. The 6-day camp for 9 – 13 years old consists of 5 core themes: Mindfulness & Sustainability – Me and My Environment; Entrepreneurship – From Idea to Reality; Design, Create & Appreciate – Make Your OWN Pinewood Derby Race Car; Storytelling as a Film Maker; and Nature – Creativity and Adventure. These experts understand that every mind works differently, while exposing kids to different styles of learning, different talents and environments of learning. OWN Academy also offers camps for children aged 14-18, find out more here. When: A 6 day camp with 1 overnight camping experience. Running 3 camps every week from 31 July to 19 August. How much: Early bird prices, $6,900 if you sign up with a friend before 15 June or $7,200 before Thursday, 15 June and $7,800 regular price (lunch and transport not included) Sign up here. ActiveKids specialises in delivering high quality and fun educational programs all over Hong Kong. With over 60+ top schools and clubs, it’s already proven to be a huge success in our city – and there really is something for everyone! Currently, ActiveKids offers 6 different high quality programs, including Hands-On Science, International Chess, Creative Cooking, Arts & Creativity, Robotics & Coding, and Textiles, Design & Presentation. There’s also a unique summer China travel program, Tsinghua Young Global Leaders, available to take your little adventurers to new heights. How much: Starting from $1,850. Wondering how you can help your kids stand a cut above the rest? 3C Thinkers Foundation’s summer camp offers much more than just coding! Your creative coder will acquire problem-solving and logical thinking abilities while building their own Apps, Games, Animations and Websites. The experienced software developers and educators pride themselves in raising critical, computational and creative thinkers! The courses are targeted for kids between the ages of 6 to 17, and offer classes for beginners and advanced coders, alike. Oh, and the guaranteed 5:1 students to instructor ratio is a bonus! When: Monday, 29 May to Friday, 1 September. How much: The camps runs from Monday to Friday. Each day, students will receive 2hrs of coaching/training and each week long camp costs $3,000. Got a little engineer on your hands? Does your kiddo enjoy science and technology? We’ve got good news, mama! STEAM International Kindergarten and STEAM International Academy is the official and exclusive NASA Education Partner bringing your kiddos a ton of science, technology, engineering, arts and math fun this summer! Your children will get to learn from a variety of subjects with NASA professors leading STEAM projects, sports coaches, professional equestrian trainers and more! Every student will get to leave camp with certificates and travelogues at the end of the camp. Sounds like fun to us! Woodland’s Summer Fun Programme is back! You can expect this varied programme for children to have fun, fresh activities every day of the week. Your little ones will experience engaging and educational lessons from 5 core areas: Arts & Crafts, Cooking, Music, Sport and Drama. You have the option (and flexibility!) to enrol for 1 week or the entire 6-week course based on your schedule. The Summer Fun Programme will run across all Woodland campuses making it convenient for many families. If building on Mandarin is your goal, several of the campuses will be holding the Summer Fun Programme completely in Putonghua. You can also mix and match your child’s activities in the morning and afternoons by signing up for the half day Summer Fun and Summer Sports & Games Programmes as well. The super popular Summer Sports and Games Programme will be back at certain campuses this year if you’d like a more focused experience on building strength, flexibility and endurance whilst participating in team games and honing in on other skills. Where: At all Woodland Pre-School Campuses here. How Much: For more information on fees, click here. Centring around character development, this summer camp provides your child a chance explore and grow into little naturalists, foodies, bookworms, athletes, scientists, outdoor adventurers, and creative visionaries. Suitable for children aged three to six and featuring some outdoor activities, this is ideal for stimulating their creativity and boosting their social skills. Enrol for any 2 weeks, or the whole 7-week Monday-Friday programme. Following last year’s success, Kellett is back for its second summer programme, with the majority of classes being 12.5 hours taught across five days. Catering to children aged 5 years or above, Kellett’s summer programme provides your child and the wider community with additional activities and learning opportunities. How much: Starting at $3,000 and up. Click here for other prices and here to enrol. Tutor Time is back this summer again for another engaging, stimulating experience to cultivate your child’s minds and bodies! They will explore the city’s natural landscapes, a working organic farm, modern technology and environmental conservation. Where: Mid-Levels, North Point, Kowloon Tong, and Yuen Long; click here for location addresses. How much: Click here to make an inquiry and here for more info. Faust has been bringing performing arts to Hong Kong’s petite performers through after-school drama workshops and an extensive array of productions for years. With Summer approaching, the Theatre and Creative Writing Programmes are a sure way for your little ones to really set the stage (and rise to the occasion)! With performance skills, drama in context, core drama values and creative writing classes, this is a place to learn all about the wonderful world of drama. Oh, and the locations range from Sheung Wan, to Ho Man Tin and even Discovery Bay, so it’s convenient no matter where you live! When and Where: Monday, 26 June to Friday, 25 August in Faust Studio in Sheung Wan. Monday 10 July to Friday 4 August in King George V School, Ho Man Tin. Monday 24 July to Friday 28 July in Discovery bay International School, Discovery Bay. How much: $2,960 for 1 week. Receive a 10% discount if you sign up for multiple weeks or if you register with a sibling. No stranger to the Hong Kong family scene, Rumple and Friends is back for an epic summer! Join the Big Top Academy for 10 full weeks of summer courses running Monday to Friday with morning and afternoon classes available. There are four themes this year, from Dinosaurs and Mini Monsters to Pirates and Mermaids, Explorers and Adventurers and the signature, Magic and Circus course (students get to take home a magic kit!). Lead by professional performers – there is definitely no shortage of fun here! Looking for a home-away-from-home where grown-ups can de-stress while your child can play and mingle in a creative environment? The 3-hour drop off summer camps feature a different theme each week, with Dinorumpus for those who are keen on natural history, Superhero Training School for the superhero wannabes, The Big Build for the future architects, Art Factory for the little artists to recreate some masterpieces of their own, and many more. The ways in which childhood memories can be created at Maggie & Rose are endless! How much: $810 per camp (non-members). Call 2638 7191 or email [email protected] to enrol. Full payment is required to secure a place in the camps and non-members are unable to use the rest of the club prior to or after the camp. Got a little star at home? Starlit Voice is a performing arts hub and one of the front runners of extra curricular drama activities across schools in Hong Kong. The exclusive representative of LAMDA (London Academy of Music and Dramatic Art), you can be confident that the standard and quality of learning is top-notch. Led by experienced performers, Starlit Voice Summer Camp is back with weekly workshops available in Drama, Acting and Musical Theatre. Summer Drama themes for children aged 4 –11 years old range from Matilda, Captain Underpants, Hamilton to Star Wars and more. There is definitely something for everyone! How Much: Prices for a five-day course, range from $1,600 to $4,400 or email [email protected] for more info. Foundation Academy has been running its Filmmaker, Novelist and Orator courses in various ESF and International schools across Hong Kong. They have trained more than 160 primary school students! They are geared towards encouraging the students’ creative and critical thinking skills, all the while providing hands-on training in innovative fields! This summer, your child can take part in workshop-based programmes as they create their own short films, write their own short stories, or record their own audio shows! Your child will walk away with a sense of responsibility, teamwork, and a giant boost in confidence. Foundation Academy’s summer courses offer children the opportunity to explore their creativity and self-expression through unique and interactive means. Sounds good to us! Your little one will discover the joy of Ballet at Twinkle Dance’s summer classes, which are available at most of their locations and offers everything from princess-like movements to more advanced footwork. Students of 5 and above can join the new choreography workshop to get their creative juices flowing. There will also be a backstage tour at the Hong Kong Ballet. Where: Central, Wong Chuk Hang, Causeway Bay, Kennedy Town, North Point, Wanchai, and Tung Chung. Click here for location addresses. How much: Click here for price options and the full schedule. Get a 20% early bird discount if you enrol before Wednesday, 31 May. 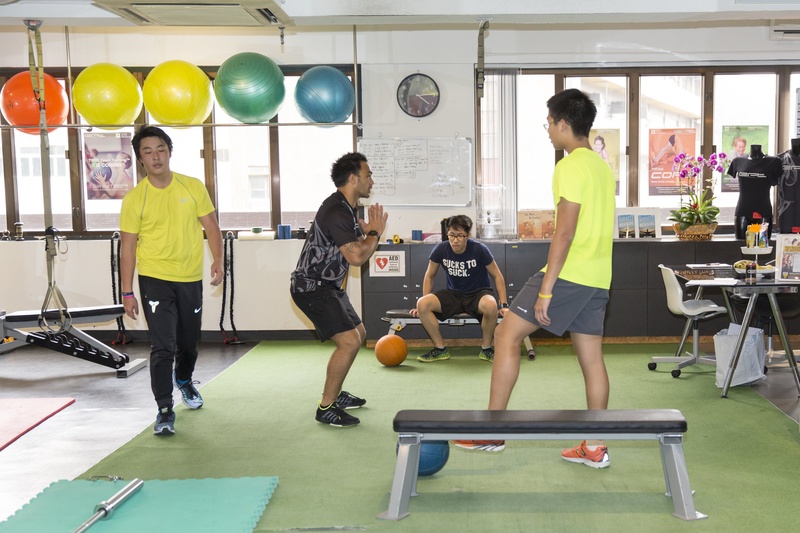 Get 20% if you enrol for 2 full term classes at the same venue from Thursday, 1 June onwards. Contact [email protected] for bookings and enquiries. Look no further than SPRING if your child is keen to learn more about Ballet and Jazz, as well as to develop fundamental movement skills, musical awareness, and creativity. The themed classes target children from 18 months to 5 years old and utilise props to encourage active participation and focus. All classes will be led by Ms Elissa Hinson, who received her formal dance training in USA. How much: $400 per class; at least 4 classes ($1600). Get a 5% discount when you purchase 8 to 11 classes, and 15% for 12 classes or more. Get a 10% early bird discount if you purchase classes with settlement on or before Wednesday, 31 May. Click here for the class schedule. Contact [email protected] or 3465 5000 for enquiries. The 3-day camp by The Living Room and Rock School offers youth the experience of playing in a band where they will also learn basic music theory. They will get to have fun, build their confidence, and make friends with aligned interests. Students will give a performance on the last day where you and the rest of the family can enjoy. How much: $3,000 per camp. Get $500 off when you sign up before 5 June. Click here or email [email protected] for more info. With daily camps held over the course of 2 weeks, your child will sing, dance and act, and eventually perform the most-loved musical, Charlie and the Chocolate Factory in a professional theatre. They will also obtain a Trinity College exam qualification as acknowledgment of their hard work. Where: Kids Gallery Hong Kong and Kowloon. Click here for each location’s address. How much: $7,180. Click here for more info and here to enrol. Kids will learn to use modern computer software to compose their very own song in this group course. Learning a new skill in each session means more in-depth understanding of music production. No formal musical training or background is required, but Sol Passion recommends access to a Mac or laptop that your child can bring with them. When: As all Music Production Courses are now full, they will announce new dates shortly. How much: $4,800 – $10,000. Click here for more info. Contact [email protected] or 9422 0367 for enquiries. If learning through play is your philosophy, then you’re going to love Mini Mandarins. The language centre aka the Mini Metro has been transformed into a construction site, Hong Kong local café, beauty store, farm, restaurant – you name it, they’ve done it and all in the hopes that children who enter their doors pick up Mandarin while being in “real life” scenarios. Mini Mandarins is back again with its fantastic workshop that runs 2.5 hours daily and is full of activities like cooking, arts and crafts, science and more. You can also sign your children up for individual modules like pin yin, reading and writing courses as well. Kids at the Causeway Bay campus will be learning about healthy eating via international food court theme and kids at the Central campus will be immersed in a greener earth theme with Supermarket fun, in collaboration with GreenMonday and Green Common. Learning a second (or third!) language has never been more fun. How much: $800 per session to $2,300 per module. Receive an early bird discount of 10% off when you register on or before Saturday, 27 May with a special gift for the first 20 students who sign up. Looking for a fully immersive cultural experience for your children? Search no further, mamas, and check out Southside Mandarin. Known for their creative programs that celebrate Chinese culture through Putonghua Art, Wushu and Yong Chun, Chinese Dance and Chinese Music – your child will be receiving the very best while learning the language. Located in Wong Chuk Hang, Southside Mandarin boasts of a large 2,500+ square feet campus and state-of-the-art facilities. The Camp will also have bi-weekly outings and performances by the children as well (cameras at the ready!). How much: Enrol before Saturday, 3 June for an early bird 10% discount Prices start from $2,880 per week. Celebrate the joy of learning at the Mulberry House summer camp with 8 weeks of theme based Mandarin activities that will engage and educate little ones between 1-7 years of age. The camp will run from 3 July to 26 August, 2017 and has a new theme every week: Food, Animals, Music, Transport, Science, Construction, Family and Summer. Children will learn about the world around them through interactive games, crafts and enriching activities. With small Mandarin immersion classes of maximum 7 children, your child will get personal attention from our 2 dedicated teachers and will learn naturally and joyfully. Give your child the opportunity to fast track their Mandarin and love every step of the journey! Summer camp enrolments are open for 3 day camp, 5 day camp and 6 day camp and if you sign up before 22 May you will get an early bird discount of up to 20% off. How much: $290 per hour and up, class time varies by age. Sign up before 22 May for the early bird discount up to 20% off. En français, s’il vous plait! If you’re looking for a place to brush up on your kiddos’ French, look no further than the Alliance Française. With over 60 years’ experience in Hong Kong, students of varied abilities can find courses that cover all levels. This summer, Alliance Française is holding it’s first ever Summer Day Camp! Choose from one or two weeks of immersive and engaging activities for your little ones that range from cooking, painting and crafting to name a few. By the end of camp, your child will have more confidence in speaking the language of love! How Much: Enjoy $250 discount when enrolling in both classes and activities in person. In this 5-day camp for 3 to 6 year olds, your child will develop their communication and language skills through imaginatively exploring music, performance, singing, drumming, movement, art and ensemble play. When: Tuesday, 1 August – Saturday, 5 August, from 9am – 12 noon. Where: LG/F Kindergarten, Mayfair by the Sea I, 23 Fo Chun Road, Tai Po. How much: $3,300 per week. Get a 10% early bird discount when you book before Monday, 15 May. Click here for the full schedule and to enrol. Calling all wave riders and ocean lovers, Treasure Island Surf Camp is back! For 10 weeks, your surfing lovin’ kids will get a chance to ride the waves through surf skills, learn ocean safety, meet new friends and participate in other fun outdoor activities on the week-long day camps. Split into different ages and abilities, you can rest assure your kids are in good hands with the professional instructors. There’ll be plenty of memories made and for the older ones, they’ll get a chance to spend one night in tents camping to build leadership skills. Perfect! APA has been offering youth adventure programs to top international schools throughout Asia for the past 15 years. With a focus on experiential learning through outdoor activities, this is one way to make sure your littles get their outdoor time! The ‘Hong Kong Marine Adventures Program’ is targeted for 10 to 12 year olds, and includes kayaking, stand-up paddle boarding, snorkelling and lessons in marine ecology. The ‘Hong Kong Coast to Coast Program’ allows older children (13 to 15) to go through a kayaking expedition, stunning gorge trek, snorkelling and an adventure race. By developing interpersonal skills, students take on roles of responsibility, communicate effectively and become part of a team – all in a safe, supportive and interactive environment. Entering into it’s eighth year of summer camp, Flex Studio has become a fixture for families looking to sign their kids up for some summer fun. With two studios in Central and One Island South, kids (and adults alike!) can get their sweat on from yoga to aerial fitness and Xtend Barre classes to name a few. Flex’s summer camps cater to a unique age mix of 6-11 years old (for week 1 and week 3) and 12+ years (week 2) with various abilities. Under the guidance of professional instructors, Flex is ideal for the non team sport-playing (or those who want to enhance their physical fitness for their chosen sport) etc. teenager who doesn’t want to go to “camp” anymore, but still wants to explore physical fitness. Each week is calibrated to work the body and mind in a balance way. Perfect! How much: $1,400 for classes for Monday to Friday. Pre-register before Saturday, 10 June for a 10% discount. Little Yogis promises to get your kiddos learning, moving and having fun! Designed for 1-12 year olds, your child will learn some handy relaxation and breathing skills which will greatly help them concentrate and regulate emotions. Putting great emphasis on holistic health and well-being for children, Little Yogis’ cooking and food discovery journey will help your child work towards making healthy food choices. 2-3 year olds must be accompanied by an adult during all classes. When: Monday, 3 July – Friday, 25 August. 10:30am-11:30am on Mondays and Wednesdays (2-3 year olds), 9:30am-11am on Tuesdays and Thursdays (3-6 year olds); and 12 noon – 2pm on Tuesdays and Thursdays (6-10 year olds). How much: For 2-3 year olds, $550 for two classes per week or $300 for one class; For 3-6 year olds, $650 for two classes per week and $350 for one class; For 6-10 year olds, $850 for two classes per week and $450 for one class. Before 15 June, get a 15% discount if you enrol for 3 or more weeks, or get a 20% discount and a special gift if you enrol for 8 weeks. After June 15, get 10% discount if you enrol 3 or more weeks, or get 15% discount and a special gift if you enrol for 8 weeks. Combat the heat and keep your tyke busy with BOUNCE’s trampoline camp exclusively designed for kids aged 6 and above. Your kiddie’ll hone their aerial skills, throw dodgeball, and join the free-jumping revolution. They will also be fully supervised during the 2-hour morning sessions that run consecutively from Monday to Thursday. Healthy refreshments, grip socks, and certificates with prize giveaways are included too! Mini Sport has got your energetic little ones covered this summer! Your 3-10 year olds can choose from a range of half-day team sports camps, from tennis and basketball to rugby and beach sports. Opt for one to two week camps to suit your holiday schedule. When: Monday, 3 July – Thursday, 27 July at West Island School, from 9:30am-12:30pm; Monday, 3 July – Thursday, 10 August at French International School, from 9:30am-12:30pm; Monday, 3 July – Thursday, 10 August at Victoria Park, from 9am-11am; Monday, 3 July – Friday, 11 August at Woodland Pre-School, from 3pm-4pm (2.5-3.5 years) and 4pm-5pm (3.5-5 years). How much: Prices vary depending on the programmes. Get 15% discount if you apply on or before Wednesday, 31 May. Prices start at $1,250, click here for other prices and the full schedule. Call at 9121 3512 or email at [email protected] for more information. Unleash the seamanship in your young sailor with Aberdeen Boat Club’s various sailing schemes for different ages. Children aged 7 to 11 will learn to sail in seven foot dinghies and gain confidence to take to the water, while those aged 12 to 18 will be sailing in more advanced dinghies and putting different sailing skills into practice. Sign them up and sail this summer away! How much: Price ranges between $1,080 to $2,650 (Member fee) to $1,990 to $3,980 (Non-member fee). For more information email Angela at [email protected] or call 2552 8182. Application deadline is Friday, 26 May. Click here for 7-11 year olds and here for 12-18 year olds. Your 2-11 year olds will love ESF Sports Camp which are split into separate age groups and scattered across several ESF primary and secondary campuses. The broad range of age-appropriate activities means optimal development of your kid’s basic motor skills and more sophisticated soft skills like teamwork and agility. They’ll also get to spend time in the pool if you opt for Renaissance College and South Island School. Where: Camps are located across several ESF schools and international schools, check their website for more details. How much: Prices start at $3,300 per week and up, they vary depending on the programmes. Email [email protected] or call 2838 2276 for more information. During this challenging 3-7 day programme, your little environmental ambassador will explore the incredible wonders of Lantau and its islands, including lotus ponds, isolated monasteries, secret waterfalls and traditional farmhouses! Your kiddo will also spend one day planting food forests, studying water buffalo and cruise along with pink dolphins, and they’ll get close to Mother Nature during their stay in traditional stilt huts, eco-lodges, fishing boats and tents. How much: $2,050 per child if you enrol for the three-day camp package, and $3,450 for the five-day camp package. Email [email protected] or call at 2984 8514 for early registration and more information. First Code has got your little and big programmers covered this summer with their wide range of courses for kids aged 5 to 18! The younger ones will explore the realms of programming concepts and computing commands, using iPads and creating small programs using colour coded blocks. The teens will learn to programme dynamic web applications and publish their projects live online. For a one week, full day intensive, your child will transform from a user to a creator with technology in no time. How much: Prices vary depending on the course and duration. Click here for the full schedule. For more information, click here, email [email protected] or call 2772 2108. When: Monday, 8 May – Thursday, 31 August. Check out course schedules on their website. How much: $350 per hour. For more information, email [email protected] or call 3706 8917. These Fitness Summer Camps for 10-13 and 14-16 year olds will get your your kids to will fall in love with exercise, learn to train properly by a personal trainer and meet new friends.